Nigerian Biography: Is Yemi Osibanjo Just A Coordinating Vice President? Is Yemi Osibanjo Just A Coordinating Vice President? not cause any distraction due to the ongoing debate over the status of Vice President, Yemi Osinbajo as Nigeria’s Acting President. 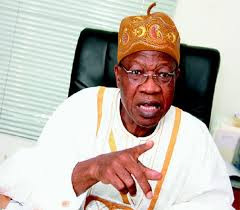 Mr Mohammed made the comments on Wednesday, while addressing journalists at the end of the meeting of the Federal Executive Council (FEC) at the Presidential Villa, Abuja. During plenary on Tuesday, two days after President Buhari left the country for medical follow-up, Senate President, Bukola Saraki read the letter informing the lawmakers that Vice President Yemi Osinbajo would coordinate the affairs of the country in his absence. Senator Ohuabunwa Mao (Abia-North), had however, raised a point of order saying that there was nothing like “coordinating Vice President” as contained in the President’s letter.